Perhaps the biggest consumer event of the year, Black Friday will be Friday November 24th. And as you will probably be all busy finding the right deal, here is a summary of current offers. – IPhone 7 has a 128GB capacity, with an upfront payment of $ 99.95 with a Premium + 7GB + 2GB plan at $ 97.95 for two years. – Pixel 2 of 128GB, with an upfront payment of $ 299.95 with a Premium + 7GB + 2GB plan at $ 97.95 for two years. • Huawei P10 a 32GB storage, with an upfront payment of $ 0 with a Premium Plan of 5GB + 2GB at $ 77.95 for two years. – Samsung Galaxy S7 32GB, with an upfront payment of $ 0 with a Premium Package of 5GB + 2GB at $ 77.95 for two years. All Videotron discounts for Black Friday. – Currently, all Freedom devices are $ 0. Save up to $ 200 with “BYOD” – you’ll receive a $ 200 credit ($ 10 per month for 20 months) when you activate your own device on a Big Gig or Big + Everywhere Canada plan. You may also get a $ 100 credit ($ 10 per month for 10 months) when you activate the Home 40 plan. – Save $ 5 a month permanently when activating and renewing a Home 25 or Home 30 plan. All Freedom Mobile packages for Black Friday. Bell offers 1GB of additional data per month on some plans with a two-year commitment for activations and upgrades. – The iPhone X at $ 599.99 down with a Premium Plus plan of two years. – The iPhone 8 Plus at $ 359.99 down over a 2-year period with a two-year Premium Plus plan. – Samsung Galaxy S8 at $ 0 on the Premium Plus plan for two years. – The Samsung Galaxy Note 8 at $ 299.99 down on a Premium Plus plan for two years. – LG V30 at $ 0 on the Premium Plus plan for two years. – Google Pixel 2 XL at $ 249.99 on a Premium Plus plan for two years. Bell also offers a $ 100 rebate for taking back your old smartphones in good condition. All Bell packages for Black Friday. The main offering of Rogers’ “Red Bids to Celebrate” is the offer of a free Google Home (regular price of $ 179.99 CAD) with the activation or upgrade of any Android phone on Smart Buy, Premium or 10 years higher plans. – IPhone 7 from 32 GB to $ 0 with some “share everything” plans for two years. – Google Pixel 2 64GO with an initial advance of $ 0 on the Premium + tab. – Samsung S8 with initial payment at $ 0 on Premium + tab. – LG V30 with an initial payment of $ 0 on the Premium + tab. – The Samsung Galaxy Tab E LTE tablet for $ 0 when it comes with a Samsung S7, S8, S8+, and Note8 on an additional two-year tablet line plan for $ 10 a month. Previously, it was $ 49. Finally, if any of these new devices are purchased, Rogers offers a 50% discount on certain accessories, including cases, speakers and headphones. All Rogers Black Friday plans. – Galaxy S7 with an initial contribution of $ 0 on a Large plan over 2 years. – Galaxy S8 – $ 199 on a Wide Two Years Plan. – LG G6 – $ 0 on a Large plan. – LG G Pad IV, the tablet by LG with an initial $ 0 swirl for a 3GB data plan over two years at $ 15 a month. All Fido packages for Black Friday. – Samsung Galaxy A5 at $ 0 with the scale. – IPhone 6 to 0 $ with the scale. – LG Q6 at $ 0 with the scale. 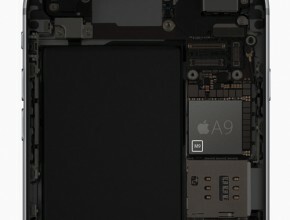 – IPhone SE at $ 0 with the scale. – LG G6 at $ 0 with the scale (save $ 200). – Samsung Galaxy S7 at $ 0 with the scale (save $ 100). 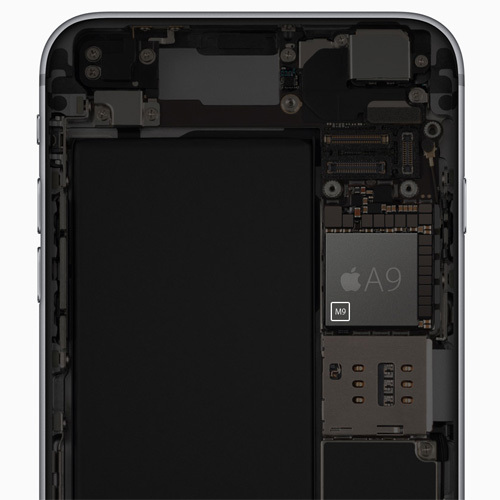 – IPhone 7 to $ 0 with the scale (save $ 250). – Pixel 2 to $ 100 with the scale (save $ 200). Koodo also offers an additional 2 GB of data on some plans. All Koodo packages for Black Friday. – IPhone 7 for $ 0 from $ 95 per month with a two-year commitment. – Pixel 2 for $ 0 from $ 95 a month on a two year plan. – Samsung Galaxy Note 8 for $ 0 from $ 95 a month on a two years plan. – Samsung Galaxy S8 for $ 0 from $ 95 a month on a two years plan. – EU WONDERBOOM for $ 99.99 (a $ 30 discount). – Google Home Mini $ 39.99 (a $ 40 discount). – FUJIFILM Instax Mini 9 for $ 69.99 (Save $ 20). These offers end on November 27th. All Telus plans for Black Friday. – Samsung Galaxy S7 at $ 0 down on a two-year Platinum plan. – LG Q6 at $ 0 down with a two-year Gold package, plus a $ 100 Visa prepaid gift card. – Motorola Moto Z2 Play $ 0 on a two-year Gold plan. – Huawei P10 lite at $ 0 on a two-year Gold plan, plus a prepaid gift card. Offers last until 27 November. All Virgin Mobile packages for Black Friday. 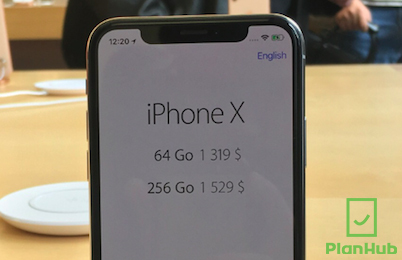 – Apple iPhone X at $ 349.99 down over a two-year period plus $ 3 a month. – Apple iPhone 8 Plus at $ 129.99 down over a two-year period plus $ 10 a month with Plus prices. – LG V30 at $ 0 over two years plus $ 10 per month. – Samsung Galaxy Note 8 at $ 299.99 down on a two-year term plus $ 10 a month. – $ 50 registration fee for maxTV with internet. – $ 50 registration fee for the Internet. – Up to 50% off high-end wireless accessories online or at SaskTel stores. All SaskTel plans for Black Friday. The operator offers up to 2GB of additional data on 2GB, 4GB and 10GB Data Plus packages. Customers can also get a $ 5 discount by adding a new line to their account. As usual, all devices are $ 0 at Eastlink thanks to its “easyTab” program. This includes Apple’s iPhone X and the Samsung Galaxy Note 8, among others. In addition, the purchase price of some phones are now reduced thanks to “easyTab”. The offers are valid until November 28th. All Eastlink packages for Black Friday. The majority of Canadian carriers sell Samsung Galaxy Note 8 at $ 550 over two years, or $ 1,299 finaly. Best Buy Canada and The Source will also begin selling the smartphone today. Good news for those who have pre-ordered the Galaxy Note 8, they will receive a free 128GB microSD card and a convertible Samsung wireless charger. Samsung Canada said it would encourage owners of the Galaxy Note 7 (the previous edition) to switch to the Galaxy Note 8. However, the company has not yet specified with what means.